This is just as much for my own edification as anyone else's. And if anyone wants to contribute tips please do. 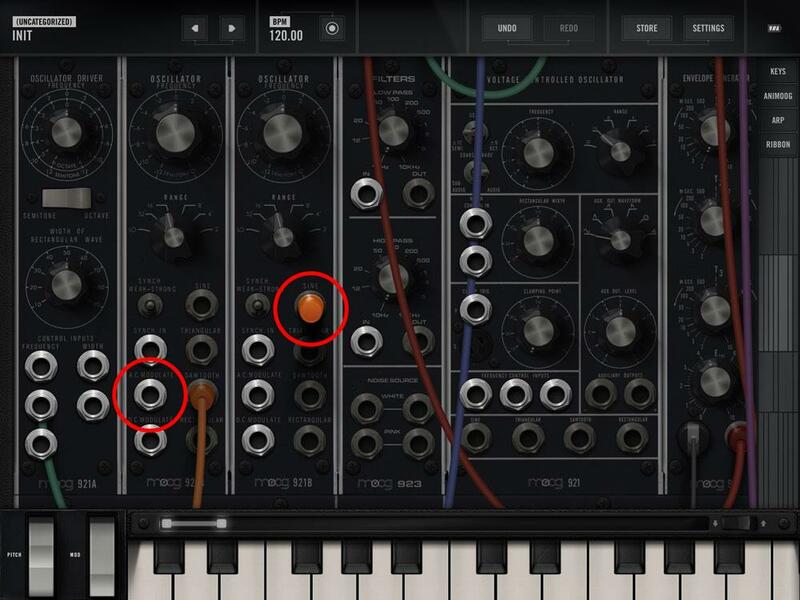 I'm a real synthesis newbie, and I've never used any kind of modular synth before, so I thought I would share my discoveries in case they are of any use to others who are also new to this game. So to begin at the beginning, load the init patch and follow me as my make my first (very basic) custom sounds. Everything starts with the oscillators. 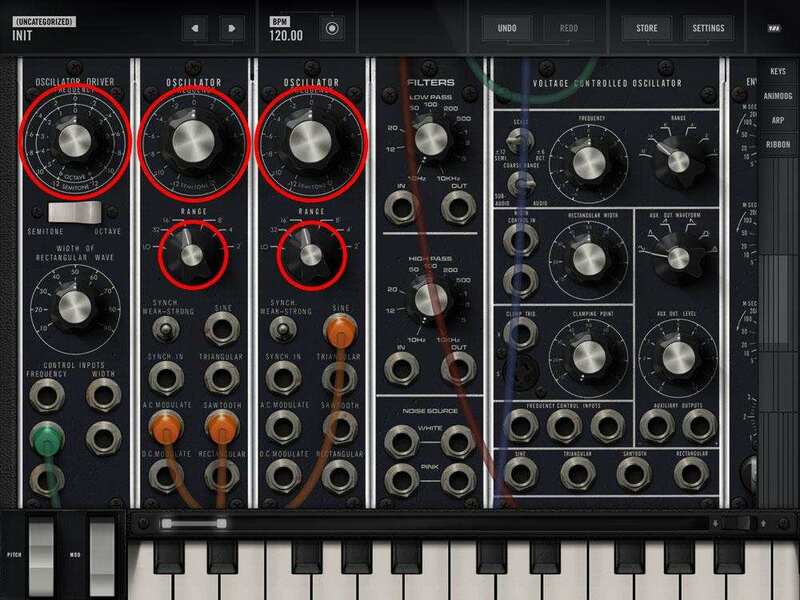 The oscillators create the basic waveforms (ie sounds) which the other modules will then modify. 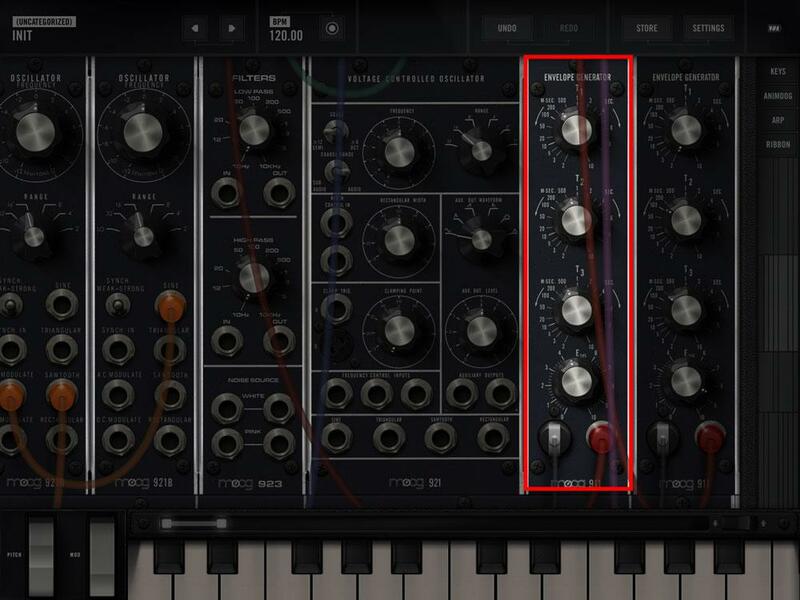 When you load the init patch the modules are wired up to make a basic sound using one of the two available oscillators. 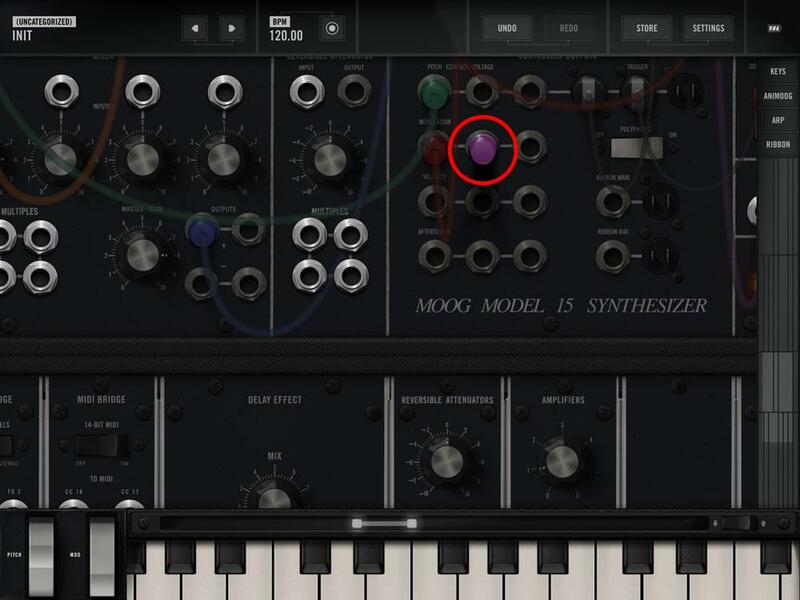 If you play at the lower end of the keyboard you should hear a nice warm moog-like tone. It is created by the sawtooth wave from the first oscillator. 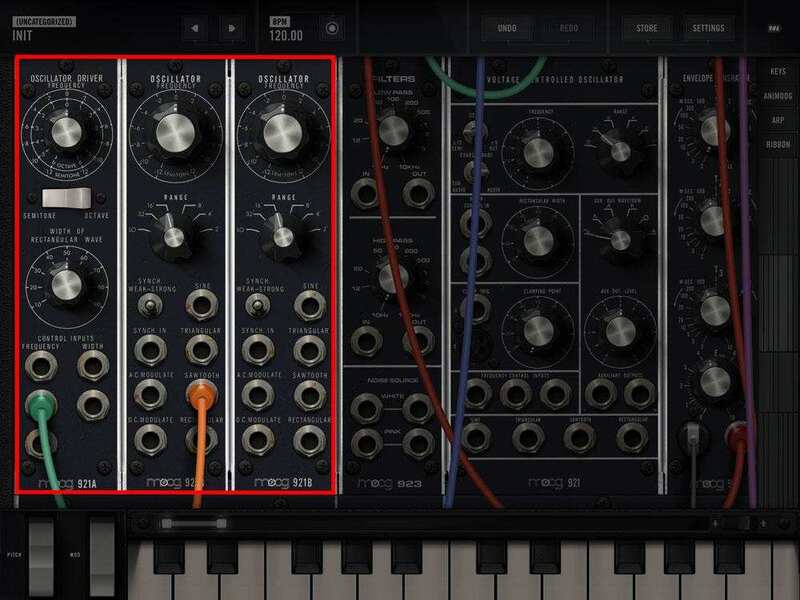 To hear the other types of waves that the oscillator can create double-tap the orange cable in the "sawtooth" slot and move it to the other available slots above and below it, to hear the sine wave, triangle wave, and rectangular wave - each has its own character. 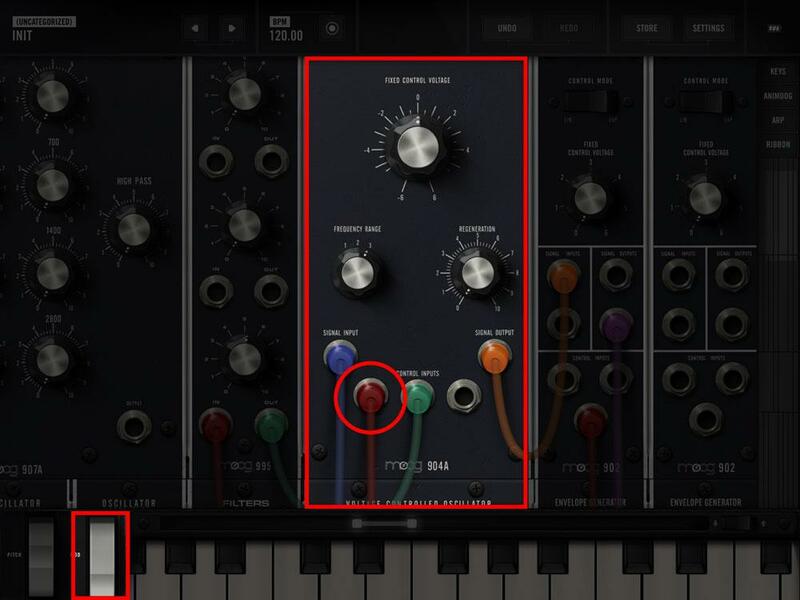 Now you can create a more complex sound by using the second oscillator in conjunction with the first - for example by creating a different sound and mixing it in with the first. But here we are going to do something different: we are going to use the second oscillator to modulate the first. 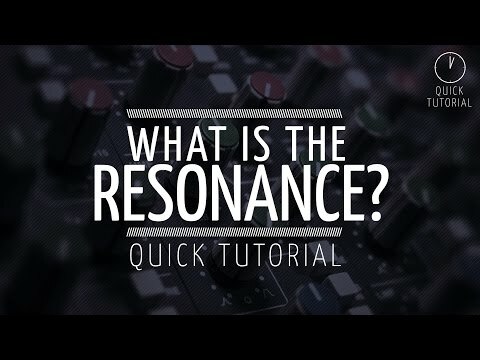 Now you should hear a different character to the sound, the wave is not smooth anymore because there is interference coming from the second oscillator, creating a less even sound. 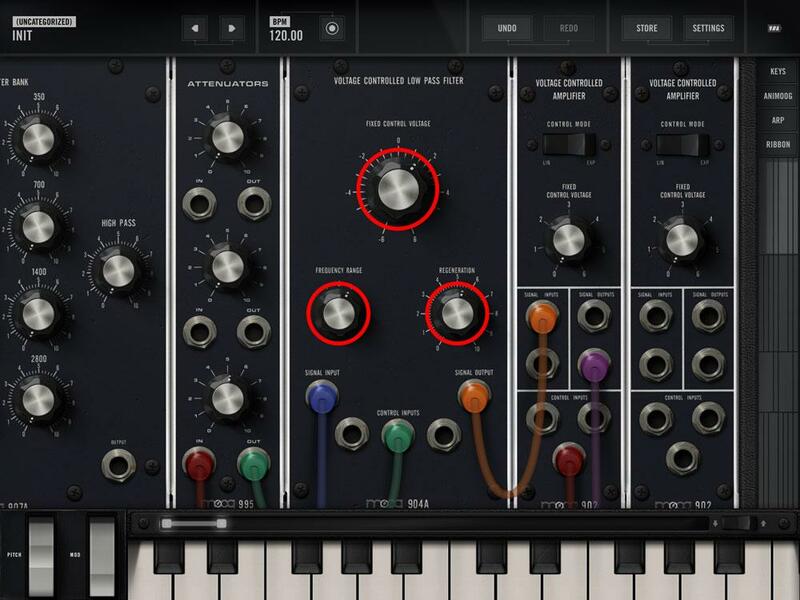 Playing with the dials in the oscillator panels will allow you to shape your base sound. 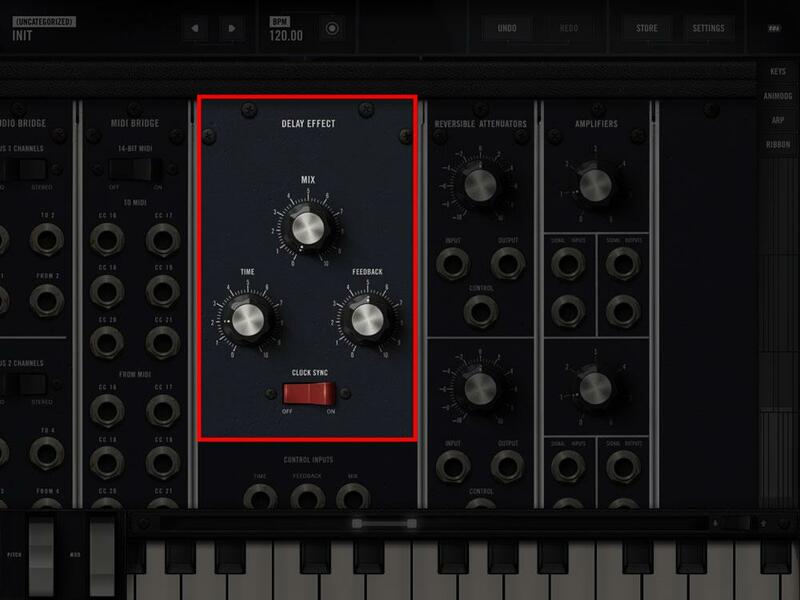 "...one of the two available oscillators". (?) There are three oscillators. Envelopes: pretty much everyone is familiar with these, they shape the attack, decay, release, and sustain of the sound (going from top to bottom of the dials). 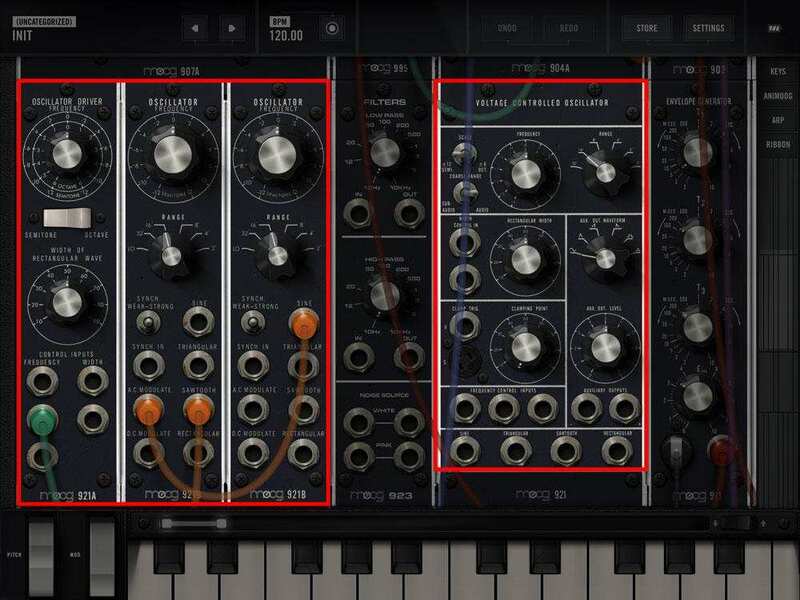 Note that once again there are two envelope modules, meaning you can use the second one to drive modulations, much as we did with the second oscillator earlier on. This is a resonant low-pass filter, which in english means that it's an basic EQ which cuts off the higher frequencies, letting the lower ones through and optionally adding a peak at certain frequencies (that's the "resonant" part). If you turn the the big dial at the top clockwise, you let more high-end through, and anti-clockwise cuts the higher frequencies. If you turn the dial named "regeneration" clockwise you will add some resonance and eventually distortion. 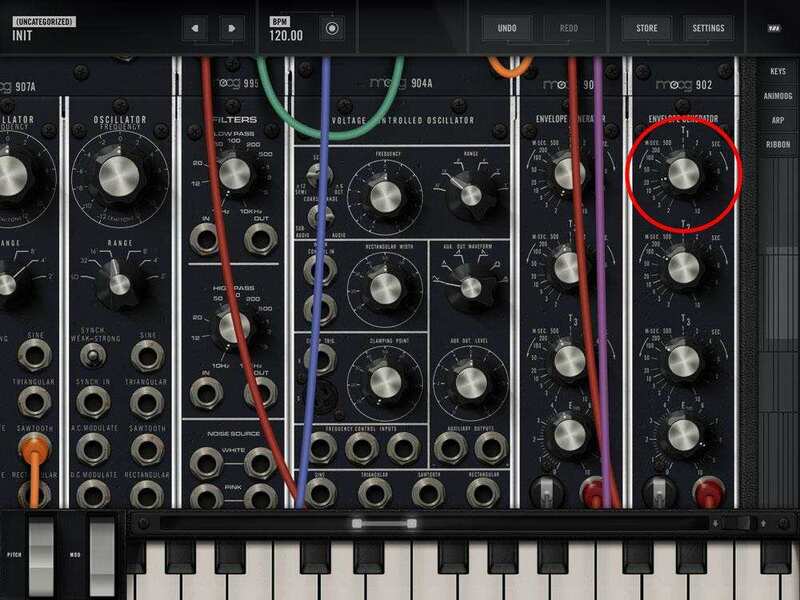 Play with the 3 dials in the filter panel to shape your sound. this is excellent stuff. but why not make an inapp tutorial ? just curious. Doesn't the first one just drive the other two? As I say I'm a noob, and I am happy to be corrected for any errors. Might do, haven't figured out how yet Besides this is a good place to get started and catch any potential mistakes. The 921A is a driver for the two 921Bs; one set of inputs for both osc. The 921 (no A or has the driver (control inputs) and the OSC (outputs) together in one module. Plus some bonus stuff (clamping/aux outs). Oops. Edit isn't working for me. The smiley should be a "B". That's kinda what I thought, the first one drives the other two. I have to admit this is all a bit nebulous though right now, must make a point of reading the manual some time. I'm not sure from your response if you're getting this. The 921A drives the two 921Bs (three modules/two osc). Then comes the 923 module which has High and Low Filters and Noise. Then comes the 921 which is the third Oscillator. Went to bed last night (eventually) having watched https://forum.audiob.us/discussion/comment/228191/#Comment_228191 and was determined to make some sense of this all come the bright of day. Thanks for bringing your clarity to my confusion. Very appreciated. 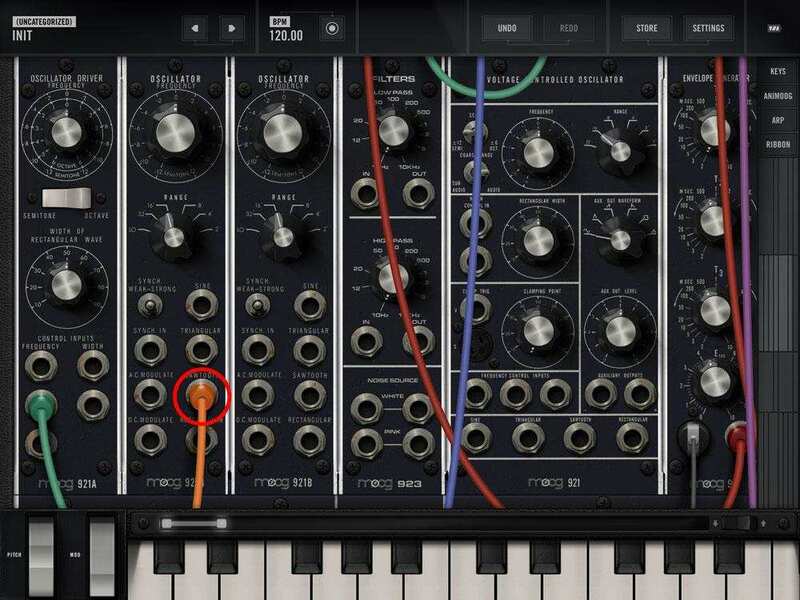 Modular Synthesis is great fun dude - good idea to share tips for people just starting out too as it can be daunting! The biggest revelation for me was once I understood the concept of free running oscillators. 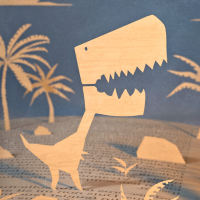 I always imagined that you pressed a key, and the note is "created" in that instant. When in reality the note is always there, and you're just opening the gate. Once you get comfortable with the concept of the note as being a constant flow that can be redirected, bent, shaped and modulated by other free running sources, you can start to get really creative with sound design. 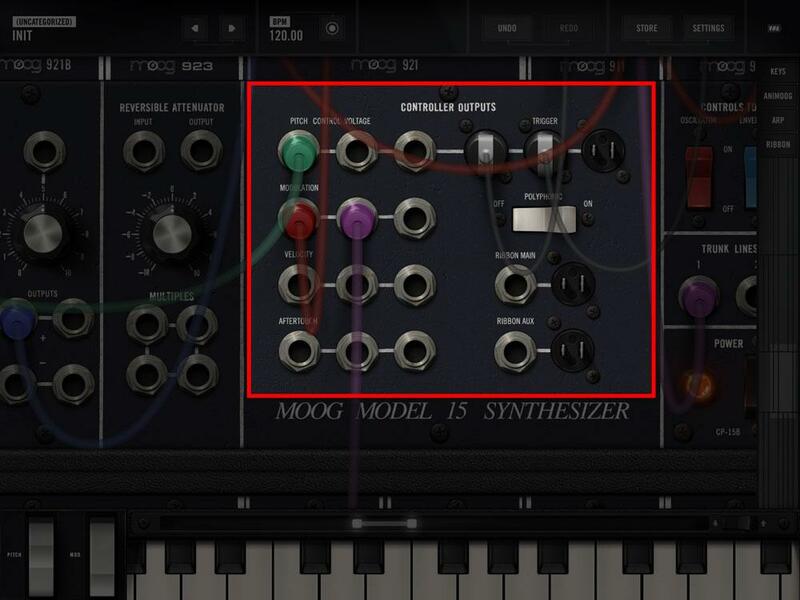 The only thing I'd really like to see in Model 15 now is a good saturation/distortion unit. I can't quite figure out how to overdrive my sounds yet. Unless I'm missing something obvious! This creates a nice chimey sound when played on the middle of the keyboard. 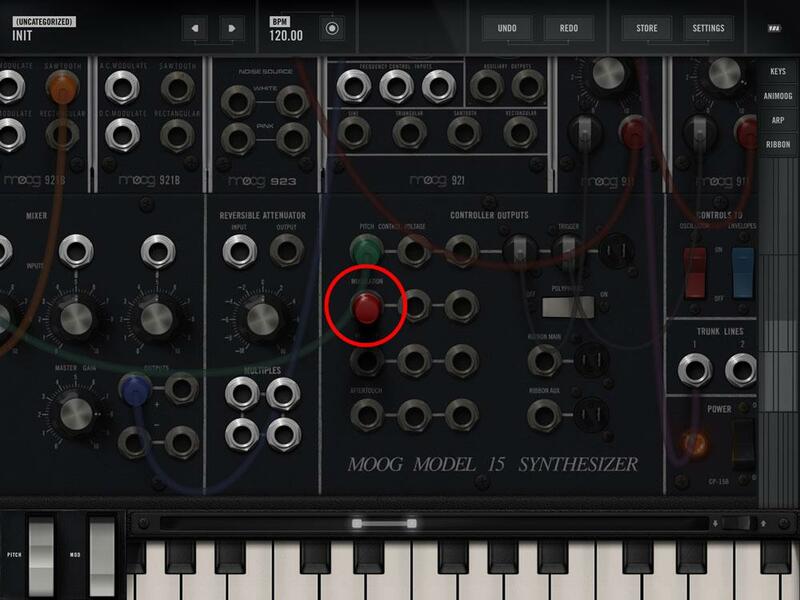 For example you can assign the mod wheel or aftertouch functions, to drive some aspect of the synth. and plug it into one of the "control input" slots for the low pass filter. Now as you turn the mod wheel on the keyboard the filter opens up. There are 3 outputs for the modulation, meaning that you can drive 3 separate things with the mod wheel. 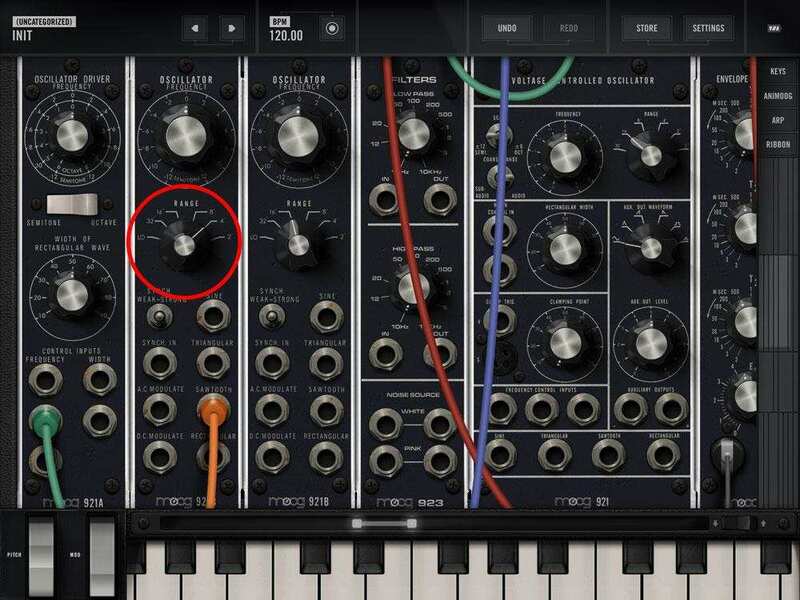 Now as you turn the mod wheel the filter opens up and the delay mix increases, drastically changing the character of the sound. 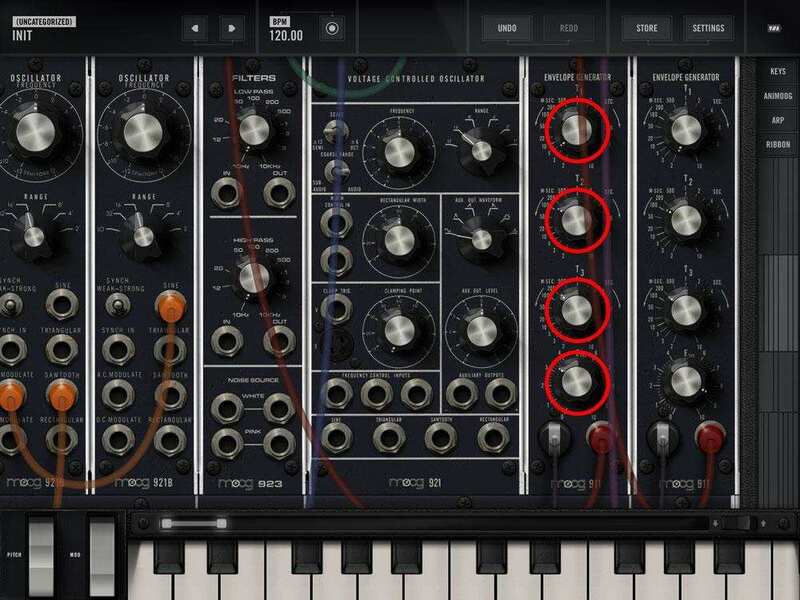 Alternatively you could connect the "aftertouch" controller output to the delay and use the Animoog keyboard to control the delay independently of the filter. Plenty of possibilities. All super-basic stuff so far, but it's good to take baby steps when you're starting out. And it's just fun patching stuff just to see what happens. 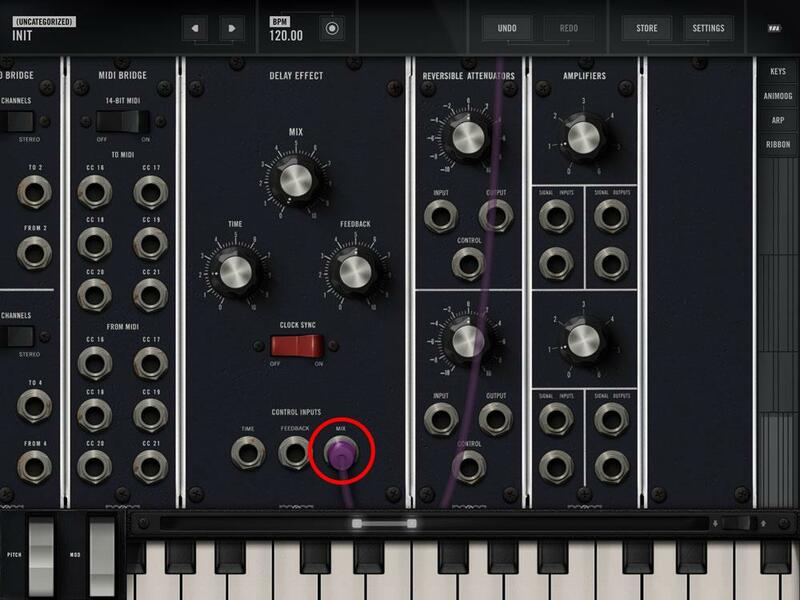 Yes, it is daunting to a synth virgin like me & thanks for taking the time to post these pics & tips. Sometimes it's like I'm embarking on a degree in electronics & I give in but with clear, simple instructions & explanations, like those above, it can/does begin to sink in...albiet very slowly in my case. Thanks again. Ya, that missing link is you plug Filtatron on it! Yes, we are! I like those oscillationery thingies. They appear to be oscillationing well. Most are probably model 15 noobs and could use some lessons right? no shame in it. Good job on the thread. How do u know when it worked? From the SonicState video, @GeertBevin mentioned that users could create and share tutorials. I'd love to see this be implemented and adopted by the community. Is there a common sharing site that the app would use to share these tutorials? Or would this have to be simply -peer-to-peer individually? I'm thinking something like the "Swap Meet" feature in AnalogKit would be great! Believe me, I'm back of the class on these things, but just followed the same route as we've been using for Shoom presets and worked fine. Opened it in Dropbox (get a page of code), choose Open in and then Copy to Model 15. 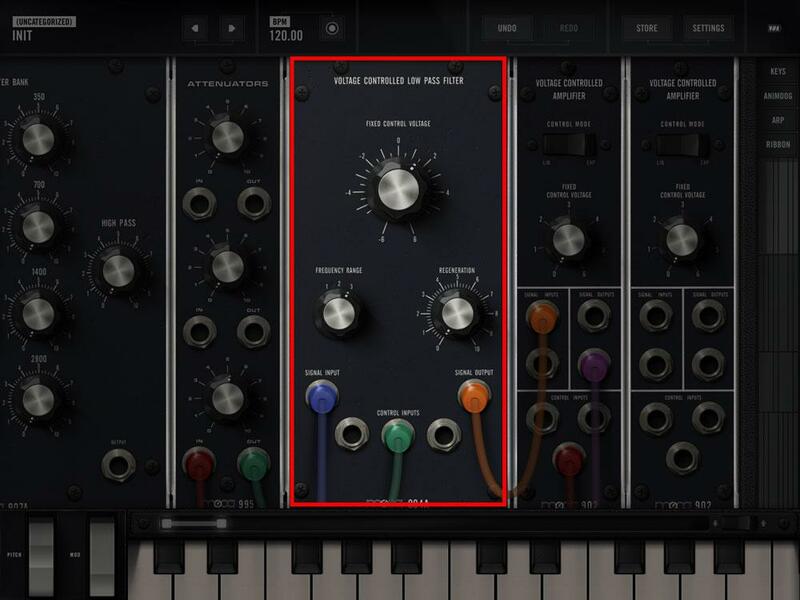 Press the little save icon on the top right of the arp box and save it etc. Ah yes it worked ! Merci Beaucoup! @DaveMagoo & @JohnnyGoodyear (Tapping 'arp', tap '+', the 'disk' icon to save, the 'folder' icon to select, 'swipe left' on the preset to get the share option.) edit: or simply tap 'share' in the menu. Save to dropbox, send link and copy link.